It’s Sunday, January 19th, and a constant snow is falling on the town of Stoneham, Quebec. Françoise Hétu and husband, Alain, are anxiously waiting on the side of a ski trail reserved for the World Cup Slopestyle competition in snowboarding. As Françoise and Alain nervously pace, you can feel the tension in the air: Their son, Charles Reid, is trying to win a spot on the Canadian Olympic Snowboarding team heading to Sochi. Just four years ago, to almost the day, Charles was injured at the very same venue at Stoneham trying to qualify for the Vancouver Games. 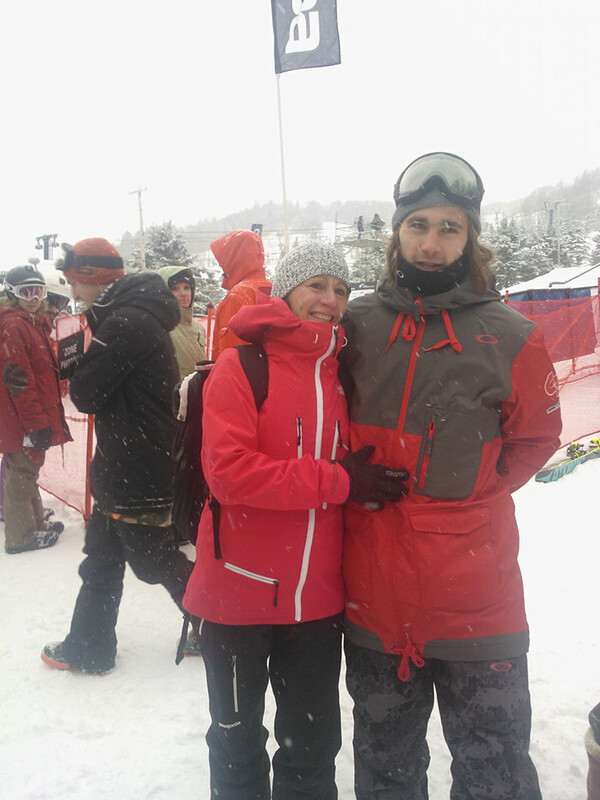 Charles’s passion for snowboarding began as a result of his very athletic mother, who introduced Charles and his brother to snowboarding for the first time at Tremblant when Charles was about 5 years old. Charles quickly developed into quite a talent and by age 7, started competing and finding sponsors that would allow him to evolve in his sport by being able to pay for his travel costs, races, equipment and eventually a monthly salary that would permit him to fully dedicate his time to snowboarding. Charles was a happy young man, fulfilling his passion to the fullest. It goes without saying that the life of the athlete isn’t always easy when you consider the continuous ongoing rivalries and sustained injuries, which often lead to extended long breaks from competition. The competition at Stoneham has begun and Charles finds himself in forth position. One last downhill run will determine whether he goes to Sochi. While the athletes fight it out, Alain takes a very tense Françoise into his arms. The competition is soon over, and Charles has done it! Saturday, February 8th, Charles will realize his dream. He will participate in the Slopestyle snowboarding competition at Sochi, with his parents accompanying him despite the trouble they had securing airlines tickets and finding a place to stay. The live broadcast of the competition will take place between midnight and 5 am on Radio-Canada. We invite you all to keep abreast of the results on Tremblant’s Facebook page and to send words of encouragement to Charles on his Facebook page.